Obligatory leg/shoe shot. 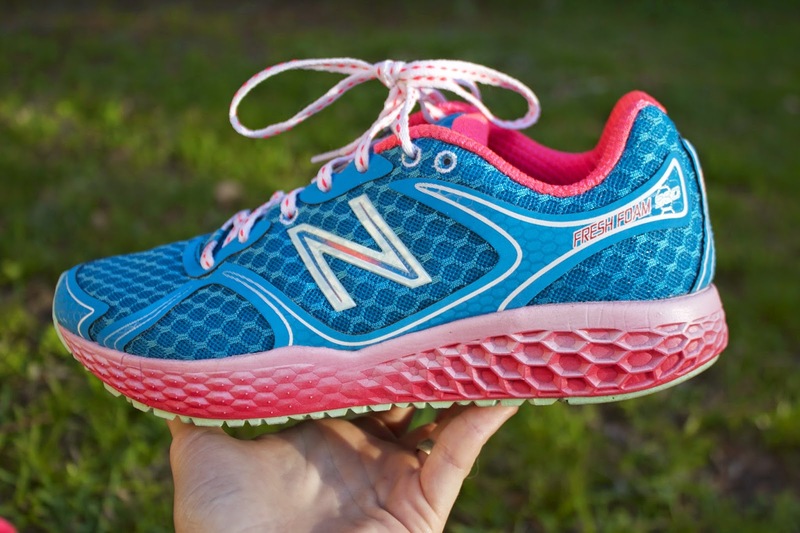 AKA "the thigh gap angle"
Colors aside, which really mean nothing and should probably never influence a running shoe decision, I still wasn't crazy about these "maximalist" shoes. Primarily because there is only a 4mm heel-to-toe drop, which is pretty minimal for me. I've been running for the past few months in shoes with 11mm heel-to-toe, which feels drastically different. I felt pretty comfortable in them for shorter runs (<5 miles at a time), but I didn't try them for anything longer. That's due to two factors: I'm not actually running long distances at all right now, and I don't particularly want to transition to a more minimal drop. 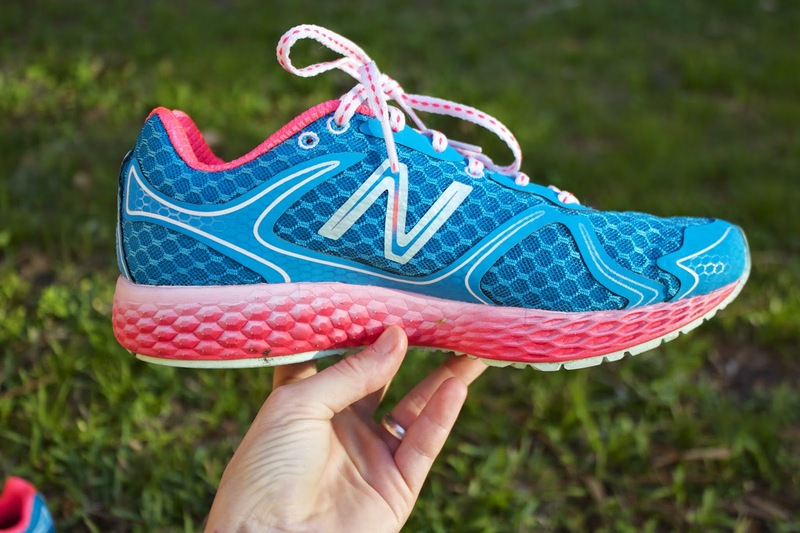 I know that switching from a supportive shoe to a more minimal drop requires a slot transition and the use of different muscles, and that is not something I care to do at this time. Of course, that's my opinion, and every runner feels differently. I am firmly in the "if it's not broken, don't fix it," camp. 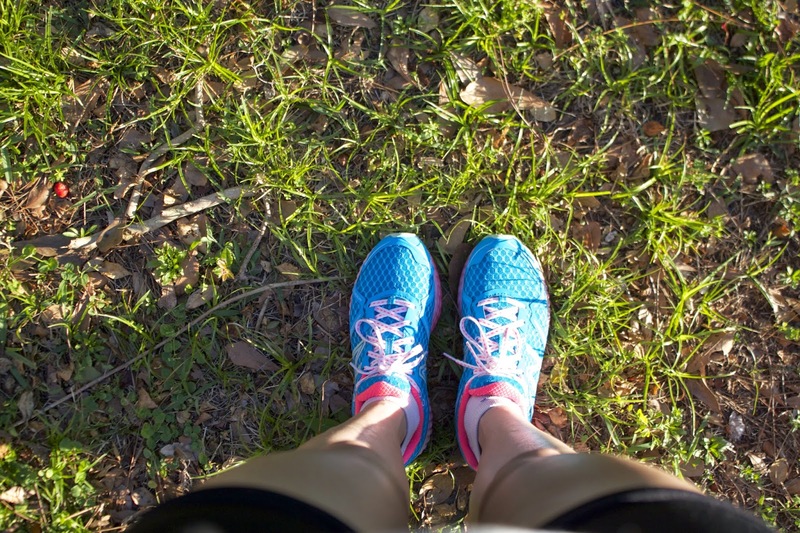 I'm not injured, so I'm not changing the way I run! Unfortunately, I did feel like there were some drawbacks that weren't particularly subjective. First, the outsoles of the shoe have a hexagonal print, but there doesn't feel like there is a lot of traction. I noticed when I wore them in the rain that I constantly felt like I was going to fall on the wet sidewalks. I didn't, but I certainly felt uneasy. Additionally, the toe box of the Fresh Foam shoes was narrow. I do have wider feet, so this is a common issue for me, but I wouldn't recommend it for someone who also has wide feet. Personally, I wouldn't purchase these shoes for myself in the future. However, I would definitely view them as alternatives to more expensive maximalist shoes. If I ever wanted to transition to this type of shoe, I would (and will!) 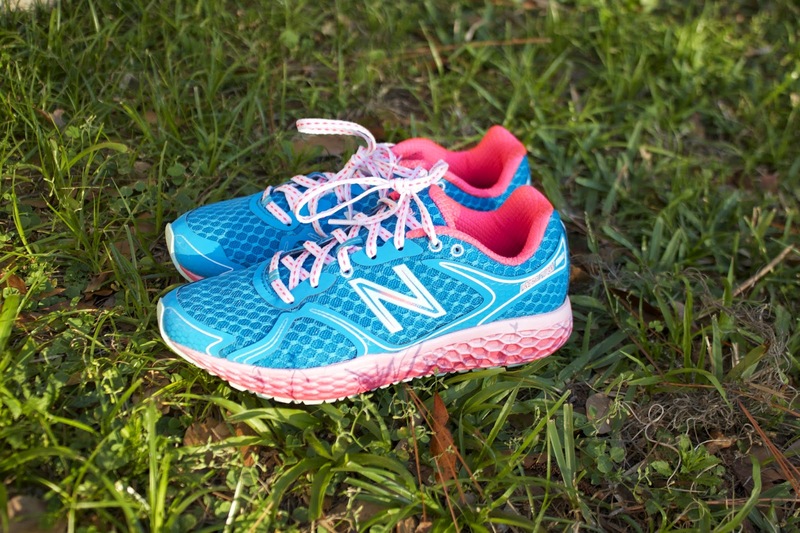 keep the Fresh Foam in mind. I received the New Balance W980 Fresh Foam free of charge from OnlineShoes.com, but this is my take on the shoes. I wasn't compensated in any other way, and this is 100% my opinion. Follow our trades NOW and make up to 270% daily.